"10 Must-Own Shoes for the Fall," professes an article on your favorite fashion website. When you click on the link, it brings you to a page that looks like an article. A closer look will reveal a small tag: "Sponsored Content," it reads. As it turns out, all of these "must-own" shoes are from the same company that sponsored this article. This phenomenon is called native advertising, and it is more common than you might think. “The idea is to make it so integrated into the magazine’s look and feel that when you read it, you think the magazine is doing it and not [the advertiser],” he said. 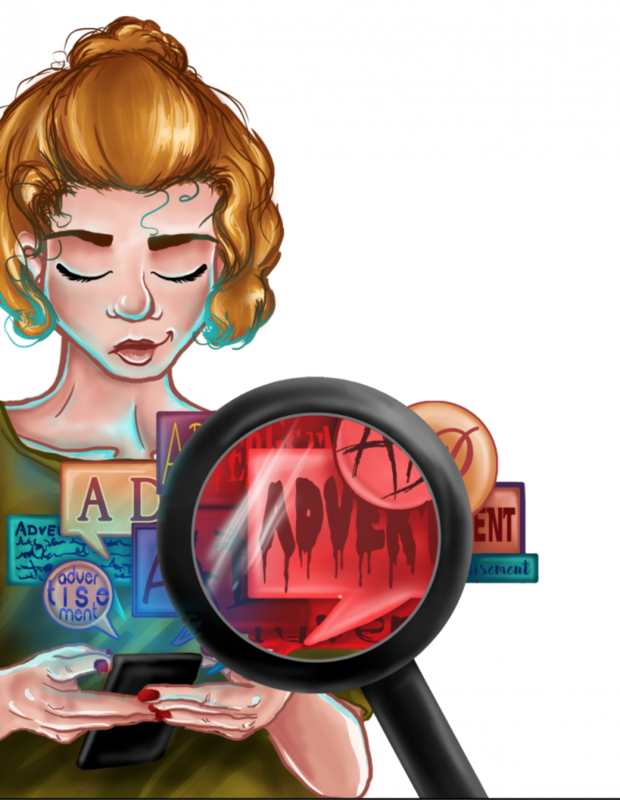 Native advertising appears in magazines, newspapers and across the internet. Instead of looking like a normal advertisement, the ad is disguised as a piece of content from the source. Facebook slips these ads into your Newsfeed in guise of a "suggested post." Other websites, like Buzzfeed, label these advertisements as "sponsored content." This is content written and posted by the company; the goal of the content is to get you to buy something. This content does not immediately appear to be a traditional advertisement. It does not use bright colors and quick catchphrases to get your attention. Instead, the native advertisement appears to be a part of the source in which it is published, leeching on the source's credibility. “It’s not really what it professes to be in its format, which is an honest, true article,” said Strauber. Websites, newspapers and magazines allow this form of advertisement for the same reason businesses do anything: money. Business Insider reports that $7.9 billion will be spent on native advertising in 2016. That number is expected to reach $21 billion in 2018. $7.9 billion will be spent on native advertising in 2016. This growth is explained by the high effectiveness of these types of advertisements. According to Sharethrough, consumers look at native ads 53 percent more than traditional banner-style ads. Native ads produced an 18 percent lift in purchase intent over banner ads. Their research also revealed that people viewed native advertisements slightly more than actual editorial content. Note that these numbers come from research sponsored by an organization that profits from native advertisement. While this form of advertising is very effective, there are some ethical implications of disguising advertisements as content. "It's not being transparent. It's being deceptive." This is not lost on some consumers, who have resorted to calling out the worst offenders on blogs and social media. However, native advertising is so effective and widespread that it would take major regulation to curb the use of the ads. “They don’t have real, big regulation for native ads," Strauber said. The Federal Trade Commission does require native ads to be clearly identifiable as advertisements, but the actual rules are vague: "Whether an ad is deceptive or not will be measured by its performance." Strauber argues for stronger regulation of native ads, based on their deceptive nature. “[The ad] is not really true … because there’s a motivation for that article, which is someone’s paying for that article to be done,” he said. Whether this practice continues or not will be determined by consumers and their responses to this form of advertisement. The internet has created a world where deceptive practices can be called out and companies are held accountable by many people.